I have two wonderful friends, Judy and Bob and they happen to have a garden. They brought me some fresh picked tomatoes. I remembered seeing a recipe on Pinterest so I hurried to the computer and brought it up. As always, my pantry was lacking many of the ingredients, so I decided to try my own twist. 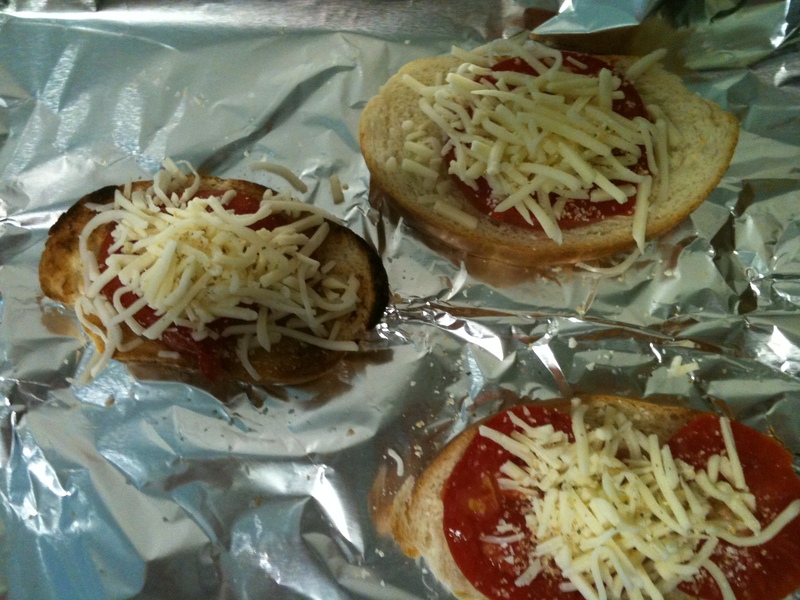 The most important thing in this recipe is to toast the bread in the toaster first. This kept the fresh tomatoes from making the bread soggy. 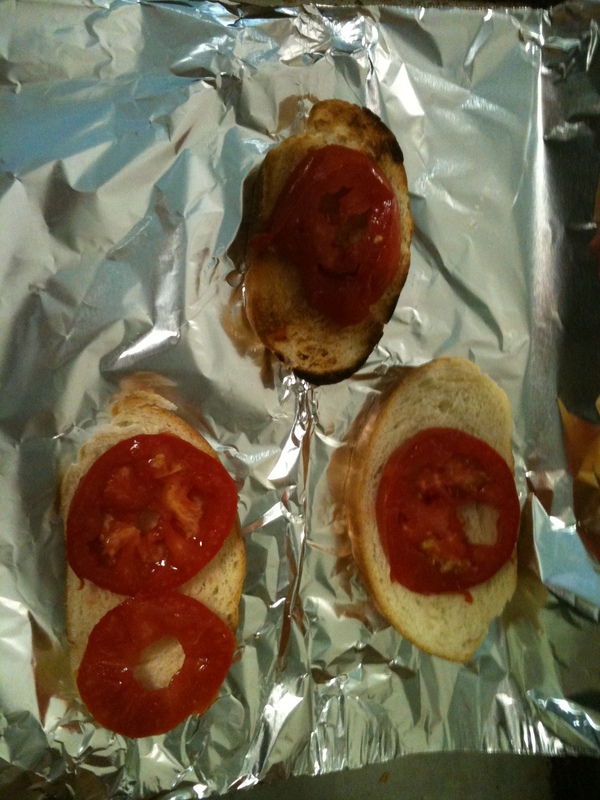 Put the tomato slices on the toasted bread. 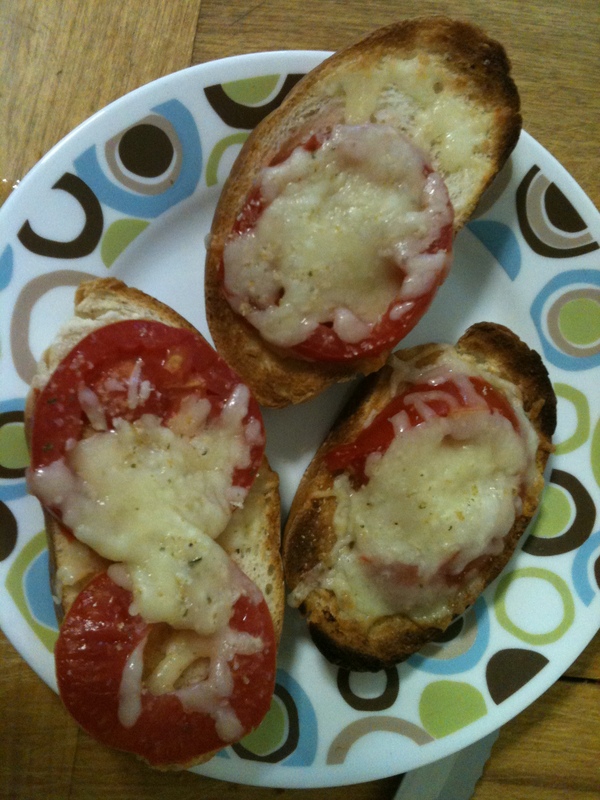 Reminds me of the tapas I had in Barcelona Spain in 2002. Thanks Kathi, I am really learning a great deal with this blog.